Performance Management Systems | This blog is about performance management systems mainly focused on Cognos. You can also change the number of milliseconds and use the code for other relative dates. The problem with code is when you try to schedule the report with default value “yesterday” the code will not be executed. I will show you how to solve that issue in the next post. If you change the password for the user you use to schedule reports you just need to renew your credentials in Cognos. Otherwise all scheduled reports will fail until you do it so. 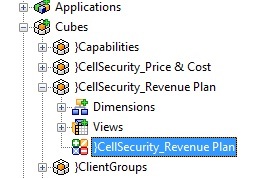 In BI Report Development process often you are asked to copy/mimic old excel reports or use them as a base. And sometimes it is “required” to use excel colours in charts. 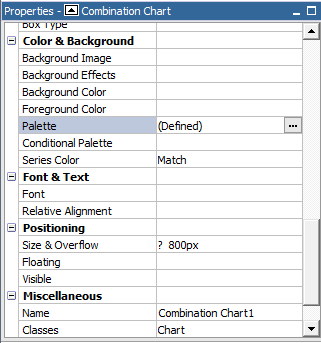 You can have total control on your chart palettes in Cognos; just select your chart and select “Palette” from properties. 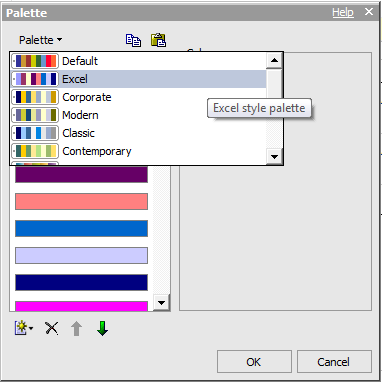 Then you need select excel palette to be used in your charts.